gets out about this the better. who handily happens to be Dennis Skinner. I have attached the letter in question for your perusal. 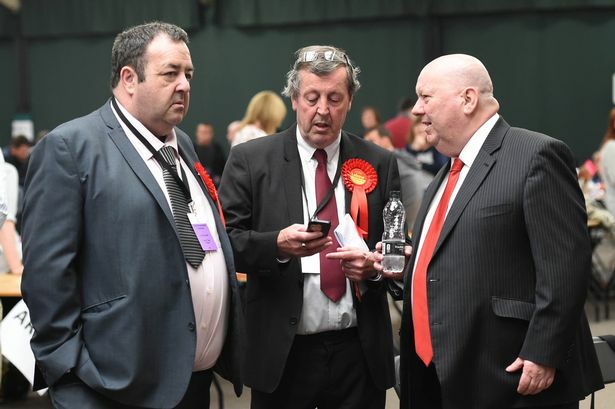 ← How Will Scots With Learning Disabilities Vote Tomorrow? The process of sanctioning lies out with the AH process. To receive the higher rates of benefit, the claimant must be considered to be carrying out “reasonable steps” to manage their condition and help move them towards the workplace. Those in the Support Group will not be required to participate in work related activity and will therefore not be subject to sanctioning procedures. However a claimant in the Support Group may opt to participate voluntarily in work related activity and engage with a PA. Thanks for posting this passage of the WCA training manual. I’ll have a look for the whole thing online and give it read. I haven’t been able to find anything concrete myself that confirms claimants in the Support Group can’t be sanctioned. Do you know of any others this has happened to? You don’t have to go to interviews, but you can ask to talk to a personal adviser. You’re usually in this group if your illness or disability severely limits what you can do. Your ESA can be reduced if you don’t go to interviews or do work-related activity as agreed with your adviser. The reduction can continue for up to 4 weeks. Seems clear to me. It follows that someone who is in the support group will only be sanctioned for not attending a repeat “medical” Someone who is in the support group, not wishing to be awkward, may accept an invitation to a single meeting but not being processed in a WRAG way. If that is all the Jobcenter intended, their letter is entirely wrong. 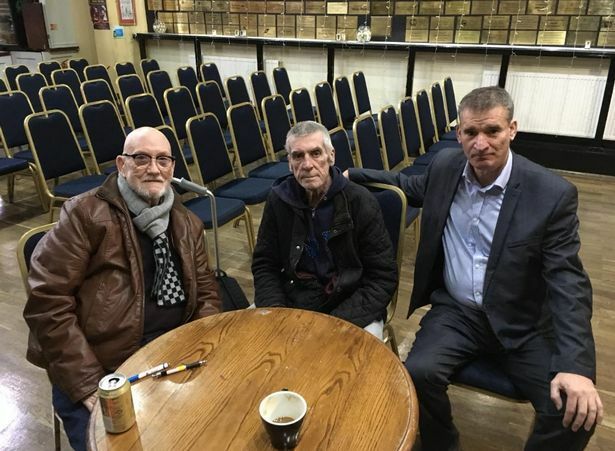 The claimants original letter of membership to the elite support group would have contained the option to voluntarily take part in work focussed interviews. If the claimant still has this letter, then she should produce it to the jobcentre manager and politely tell him to shove his suggestion where the sun don’t shine. Addendum to above: I believe that voluntary acceptance gives them the right to expect you to attend, so never agree to attending. We know what it says in the handbook, but then the DWP seem to disregard such things from time to time. You cannot expect them to play fair so it’s always best to cover yourself and attend any appointment. Hopefully, there are going to be so many people affected in the area that if all complain and contact their M.P. the matter should be cleared up. That’s all very well but no doubt most of these people will be severely affected with the anxiety impacting on their health. It’s bad enough waiting for the brown envelope to come let alone finding that the DWP have moved the goal posts yet again. i am thinking…………… again………is it mandatory that someone in WRAG should be forced into going self-employed even if not really capable of running a business AND be forced into taking out a start up loan that they will never be able to repay? on threat of being sent on workfare to work in charity shops etc if they dont at least apply for this loan. nothing has been said about what happens if they are turned down for this loan other than try elsewhere. i know you have put my original query elsewhere but i cannot find out. do you have a link to it please? Jayne, your link does not quite work as you posted it. If you receive any letters from JCP or any other government dept for that matter; always look at the bottom left hand side. You will see in this case it is “F1 ESA Mandatory 01/13” this is a template letter F1 = Factsheet 1 printed in Jan 13. I have come across this before, it was an error between the jobcentre and the DWP, but it took a lot of work to persuade them they had their facts wrong. We went in to the jobcentre with the letter confirming that our colleague was in the support group, and a printout of the DWP manual pages plus FOI reports from the DWP, and they had to admit their mistake. There’s a FOI answer that confirms this here https://www.whatdotheyknow.com/request/152691/response/370936/attach/html/3/Response%201173.pdf.html. A very disturbing development. People who even the DWP & ATOS have recognised as permanently disabled and unfit for work being bullied into attending work focused interviews. IDS and the DWP seem to think that only if you are in a complete vegetative state, i.e. comatose or totally bedridden, you are entitled to Support Group. If you need any assistance in moving you are a scrounger and therefore entitled only to slow death by starvation or mental torture by being restricted to living in your house with no resource to help to attend appointments be they Medical or Claim related. 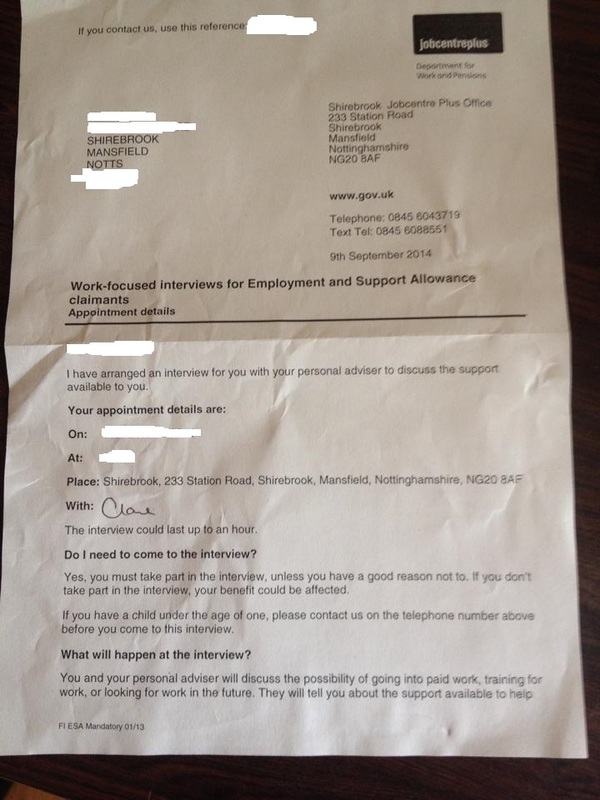 I have not been assessed by atos yet but have been “asked” to come in for an interview twice, the second time the letter was sent the day after the first interview. I have not dared to miss the appointments as I could not afford to go without my esa payments.